You Shouldn’t Have to Wait for Document Shredding Services. A1 DATASHRED Offers Next-Day Document Shredding Services. Whether you are a resident or business, you can now take advantage of professional onsite document destruction services right here in Carver MA. A1 DATASHRED offers secure, confidential destruction of confidential records at your location with next-day service that is both affordable and convenient. When you call A1 DATASHRED, you’ll actually talk to a real person that is a specialist who will take the time to answer your questions and go over the details of our services. We explain all the options available to you and help you choose the right one for you. On the same call we give you a bottom-line quote, and then schedule your appointment for the date you prefer Monday to Friday. We have no hidden fees or additional costs. We understand that you have a busy schedule. That is why we offer our convenient onsite service. It makes getting your files professionally destroyed that much easier. Once you schedule your appointment, we will come to your Carver MAhome or business with one of our powerful shredding trucks and transfer your papers into our bin and it will be locked to protect your information. We quickly bring the bins to our truck where it is lifted, emptied into the shredder and destroyed. The process continues until all your documents are destroyed. You can watch as the paper is shredded on a monitor on the side of the truck. One-time Purge Shredding – Even if you don’t need to shred business records that often you still need to do it in a secure way. Our onetime service allows you to schedule our professional document destruction service is only when you decide you need it. We come where you want us and as little or as often as you need us. Scheduled Shredding – You need to know what your staff is doing with documents they are discarding. They can’t just put them in an open wastebasket. Privacy laws require you protect information on documents even when you are throwing them away. Our scheduled service makes it easy. We place our bins and consoles in your office so all documents can be disposed of and store safely in one of these locked containers until they are shredded. Then on an ongoing schedule, we will come to your office to empty each container and destroy the contents. You can have a weekly, bi-weekly, every four weeks or monthly schedule. You may think it’s easier to just throw those old personal papers in the garbage but you’d be wrong. Identity thieves know that people make that mistake all the time and it’s a good place to steal personal information. Our residential shreddingservice will come to your home and shred all your private documents in front of you. We can come to your house or apartment from Monday to Friday. Just erasing your hard drive has never been a viable method for removing personal files. The only way to ensure that the information is complete wiped out is to physically destroy the hard drive. We make sure that the information can be recovered on your hard drive by shredding the hard drive, thus, making the data impossible to retrieve. Ask us about our process and pricing today! We are a locally-owned business that cares about personalized service. You can call, get a quote, and schedule a service in minutes. We offer flexible, next-day appointments Monday through Friday. All documents are shredded on site in our trucks. You never have to leave your home or office. Our specialized trucks are equipped with industrial-grade shredders that can destroy 6,000 pounds of documents per hour. All of our workers undergo annual background and drug testing.  We are AAA-Certified and uphold the highest standards in the industry. Scheduling an appointment is easy. Simply call A1 DATASHRED, and we’ll be sure to schedule a next-day appointment. Don’t forget, that we can schedule a service Monday through Friday.